PP Foam is the result of the latest innovation of plastic sheet industry. The production of PP Foam consists of up to 80% recycled plastic. PP Foam sheet has a unique property of multi-layer PP, which appears just like the layers of sandwich. The top layer and the bottom layer are virgin resin, while the middle part is the part that is made of 100% recycled plastic. Therefore, it can be said that the production of PP Foam is the result of technology that supports the highest utilization of natural resources and is environmental friendly because of the use of recyclable material. Moreover, PP foam also has various unique properties that make it more preferable over the regular plastic. Those properties are light-weight (specific gravity: 0.6-0.7) but strong and durable. Because of its strength property, it is very difficult to be broken, yet still contains the smooth feeling on the surface like traditional PP plastic sheet. With these unique properties, we have decided to be the first company in Thailand to order the PP Foam machine. We truly realize that it is also our responsibility to take the first step to show the general public that global warming is the biggest issue that we should be concerned with and should take parts to solving this problem as it is our business ethic to be responsible for the society. In order to achieve our social responsibility goal, we have researched and developed various products that would satisfy our clients as well as the environment such as files and folders, document boxes, leaflet shelves, and many more. 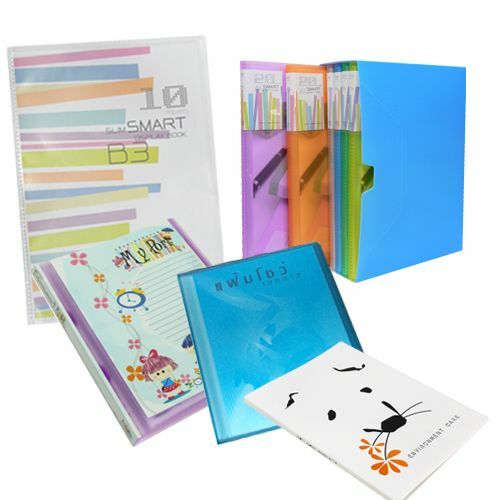 It is the file that is composed of 2 main parts, the file cover and the transparent plastic pockets. 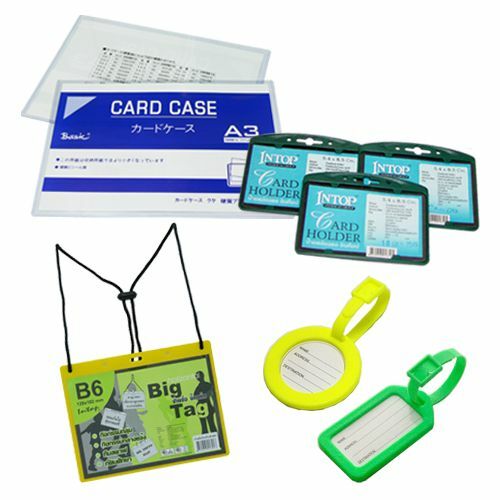 The function of transparent plastic pockets is to keep the documents such as product catalogs, reports, maps, pictures, or other important household documents like census registration, marriage registration, certificate of birth and many more. 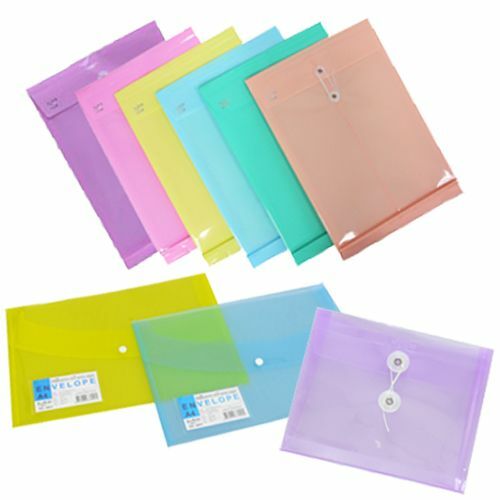 These plastic pockets will protect the document from damages like water spill or paper tearing. Additionally, the pockets can also be used as a menu book and portfolio. The cover of display file is available in a variety of selections, not only the designs but also the emboss, the thickness, the color, the printing (offset,silk screen and hot stamping foil printings) as well as the insert-able cover pocket in which customers can put in their own design. 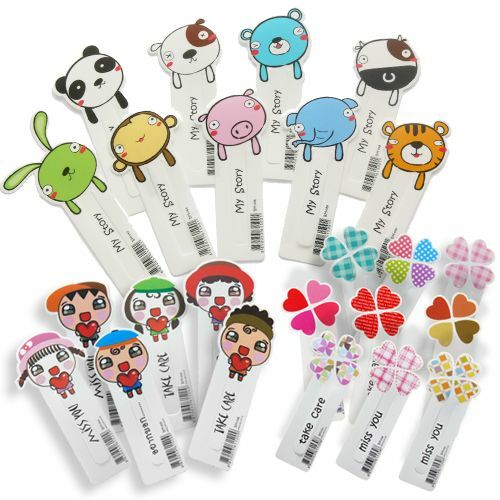 Product size and plastic pockets can be ordered according to customers' preferences. Document file that is manufactured with high quality raw material. It is designed to be easy to use, portable, easy to group for document users and for the protection of documents from moisture and dust. L-Shape file is available in various selections of the designs, the emboss, the thickness, the color, the printing (offset,silk screen and hot stamping foil printings) as well as the name card pocket on the cover for name card or grouping of documents. The size of L-Shape file and specific designs can be requested accordingly. These products are used for documents that need to be kept for a long time or those documents that need to be transported from place to place. They are produced with high quality raw material. The button and string button are made of high quality and durable material, very difficult to fall apart nor slippery. They can be reused many times, so they can be categorized as economic products. The products come in horizontal or vertical figure with expandable side for more room. Name card holder is designed to protect name card, phone card, banking card, credit card, transportation card, discount ticket, and special size photograph from any damage. It is user friendly and portable. 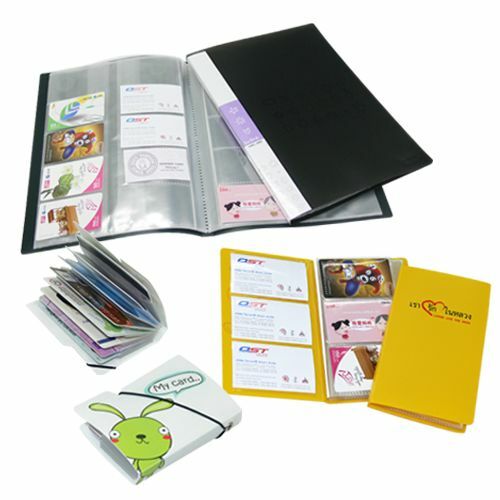 It is available in a variety of choices ranging from the one that can increase the name card pockets, the emboss, the thickness, the color, the printing (offset,silk screen and hot stamping foil printings) as well as the name card pocket on the cover for name card or grouping of documents. For keeping small number of documents in the occasion of conference, seminar or meeting. The inside includes plastic fastener and plastic binder. 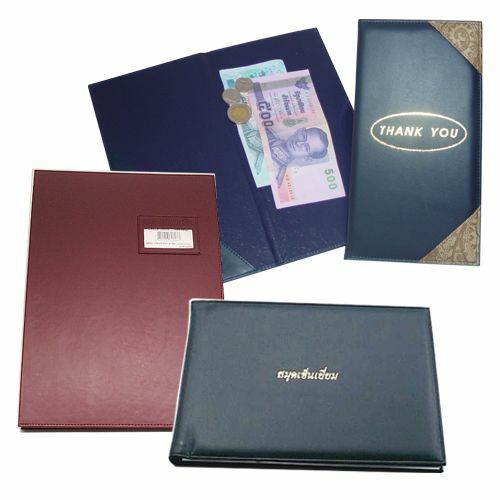 There are various model available ranging from the file with name card pocket on the cover with notebook for short lecture, the file with CD pocket for the convenience of seminar officer, the one with inside document pockets and the size as small as receipt for the use of keeping receipt in the future reference. 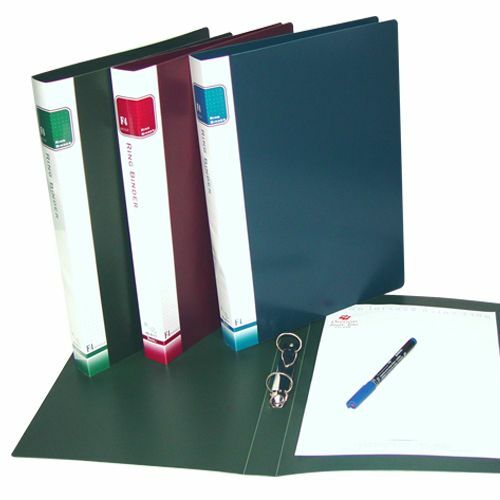 Ring binder is for the purpose of grouping documents with the side reference paper on the binder. 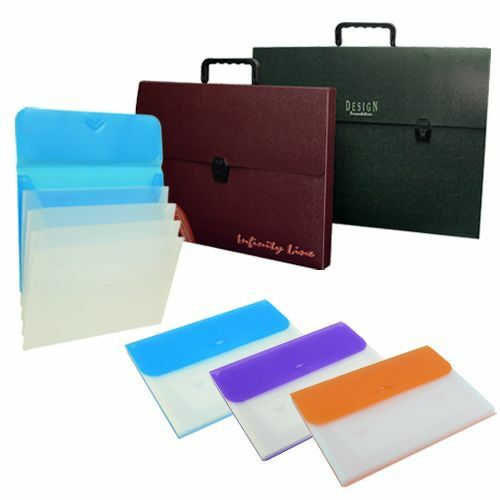 The binder comes with or without the 11 holes transparent document envelope. The designs are available in different shapes such as concave shape for easy-to-hold purpose. There are 2,3,4,6 rings available for customer's selections. The cover comes in different emboss, thickness, color, printing (offset,silk screen and hot stamping foil printings) as well as the insert-able cover pocket in which customers can put in their own design. Product size can be ordered according to customers' preferences. Lever Clip File is for keeping the document together as a group. There are various types of reference paper available on the side of the file. The file cover is available in different colors, thickness, transparency, plastic emboss, design and printing pattern including offset, silkscreen and hot stamping. The clip is made of high quality material and strong for clipping and releasing the document. Slide binder and slide bar are made of high quality plastic with high elasticity, thus it can hold a lot of documents and has high durability. 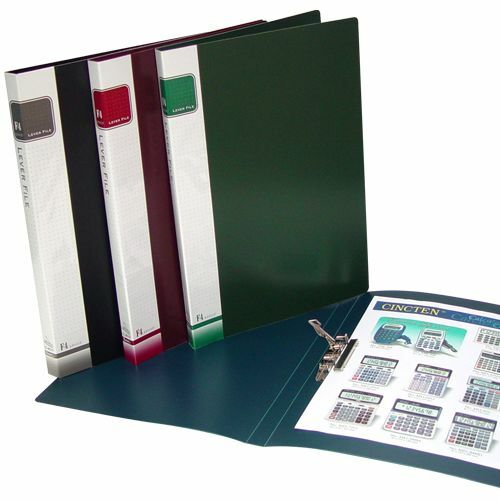 The binder can hold as many documents as the height of the binder by using the binder to lock the documents within. They are very suitable for reports, contract, memo of understanding, quotation file and many more for more convenience for the users. The sizes available are A5, B5, A4, F4, B4 and A3. 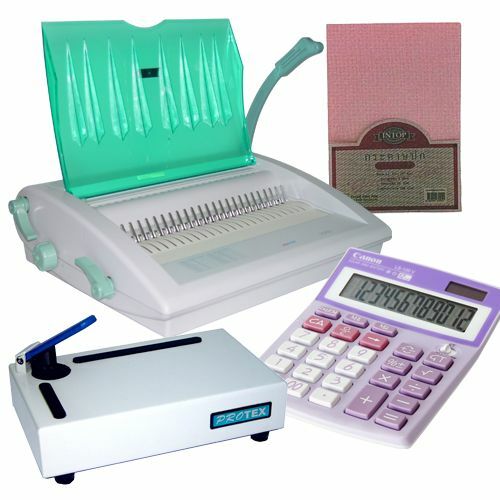 They are for keeping documents, books, note books, manual books, blueprints, paintings, invoice bills, and many more. 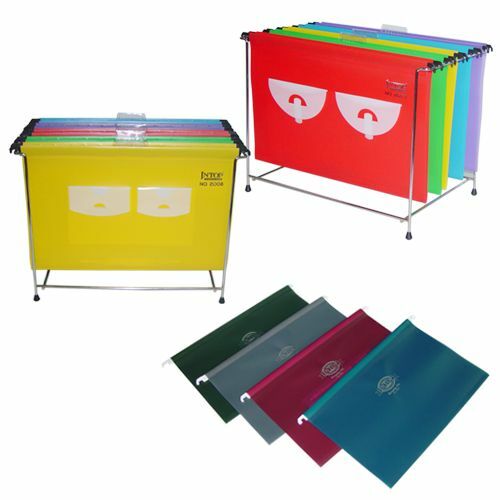 Plastic bags are available with or without the handle, with index divider, with multi-purpose pocket in the front of the bag, CD pocket, name card pockets or hang-able document pockets in which the document pockets will slide downward for more convenience of the users. The sizes are ranging from A4, F4, B4, A3 and A2. The bags are available in many designs, thickness, emboss, printing and so on. Photo album with CD pocket is available for photo size of 4”X6” and slide show size. The cover comes in a variety of designs offset printing. The products comes with the refillable pockets for more photos in the same album or the fix pockets. For keeping and grouping documents, blueprints, paintings, invoice, books and so on in the document drawer. 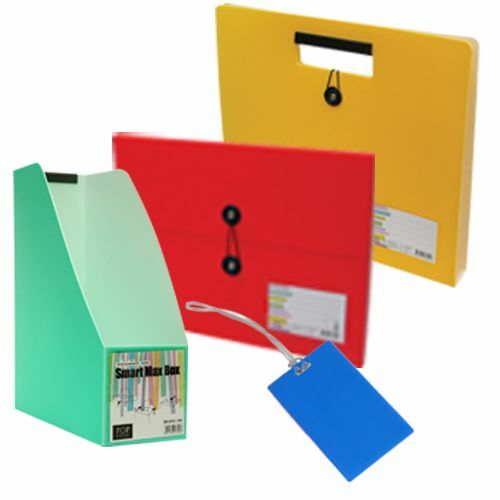 The standard hanging file is available in F4 and A4 size for putting in the document drawer or hanging station. There are a lot of choices for customer's selections including ones with CD or Disk pockets, or ones with button closure that would keep the different documents safe within the same file. 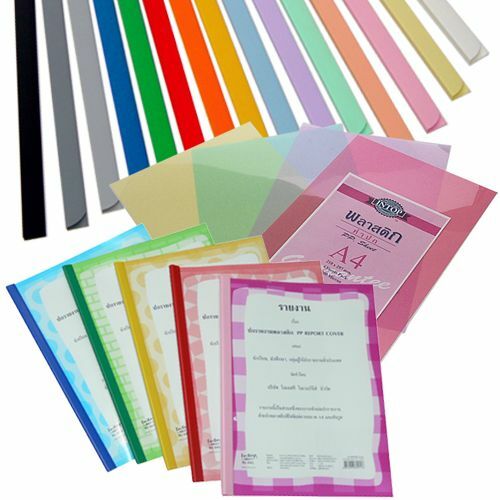 The material for hanging file comes in various colors, thickness, transparency, emboss, and printings depending on the preferences. It is designed for holding the food or drink menu. The holders are available in forms of synthetic leather with plastic pocket for menu list, design printing PP cover or color only. Additionally, there are also tableware and kitchenware for customer's selections such as table mat, glass mat, cutting board for vegetable and cake. All the kitchenware and tableware are produced with high quality PP sheet and modern designs. 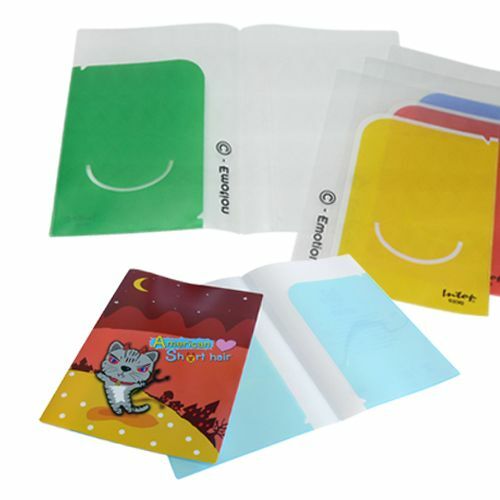 PP plastic bags come with beautiful design printings, nylon or ribbon handles. The bags are finished in high quality, which can be assured of holding a lot of weight without tearing apart and waterproof, various styles and various sizes for customer's preferences. The bag is reusable for many times so that it helps reduce the waste in the environment. 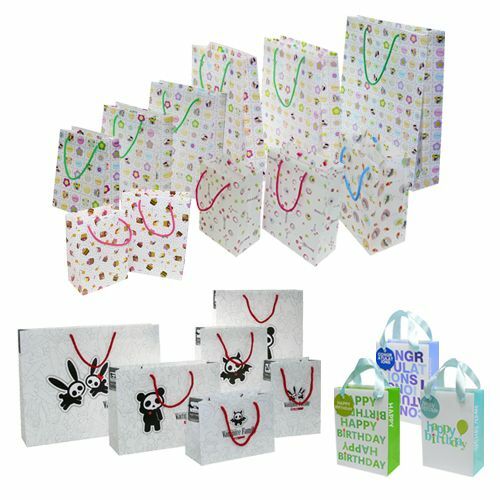 It can be used for shopping or replacing the wrapping as the bag is well designed for different occasions such as Happy Birthday, Love, Congratulation, Season's Greeting and so on. Material used are available for different selections such as thickness, colors, emboss, and printings. Customer can also choose according to the preference. For keeping the documents, putting in name tag, I.D. Tag, notice board, ISO certificate, product catalog, photo, and seminar documents. The products come in various sizes, material, colors, emboss, and printing. The products can also be specially ordered accordingly. 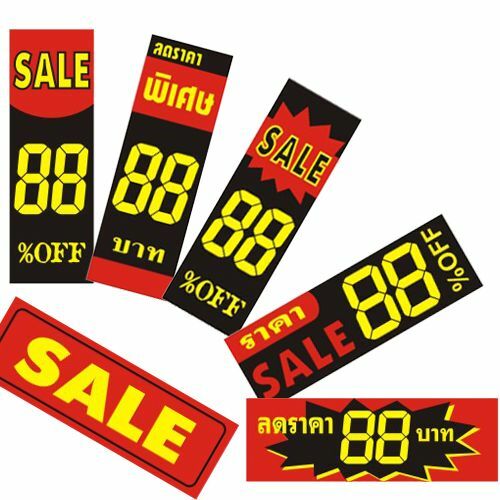 Signs can be used for many purposes such as price list or notice boards. It is user friendly that comes in different sizes, printings, colors and so on. The product is durable and easy-to-use. 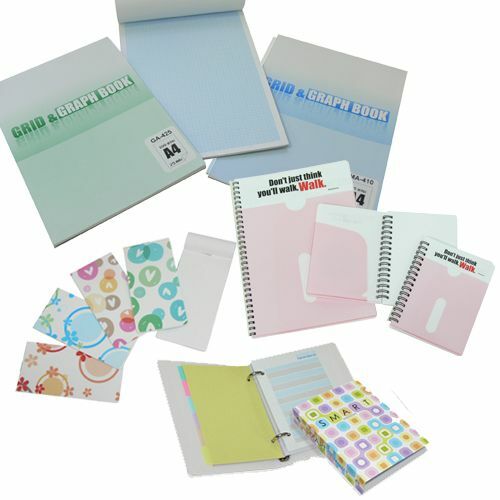 A variety of note book with modern designs printing on the cover as well as inside. The paper within is made from high quality pound paper. The thickness, number of sheets and sizes depends on the usage purpose. The cover comes in two different materials, paper and PP. The printings are available in many designs for music work, design work, memo and general usage. Book mark is for marking the book. It comes with tab to show the line that the reader has left of before. With the latest design of corner book mark that is a perfect gift for different occasions. PP Posters are printed with modern offset printing system. 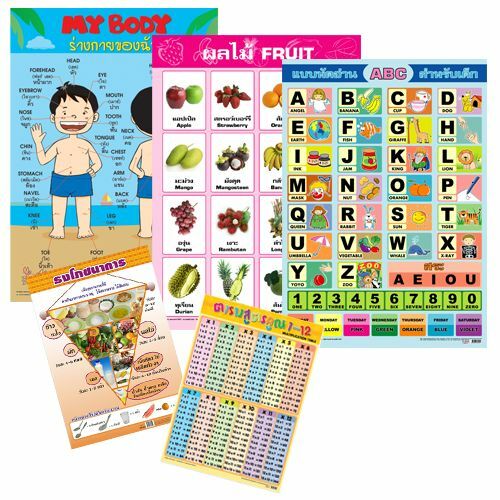 The posters are available in many themes and topics for kids, general education, Buddhism, food science and many more for the purpose of teaching equipments, for the preschool kids or for the industrial safety within the factory. They are durable and difficult to be torn apart as well as waterproof. This group of products also include plain color PP sheet that customers may select so that they can design there of posters. For the usage of dividing and grouping documents in the same file for more convenient when it comes to keeping the document in places. This will also help when it comes in finding a specific document. The divider comes in two different material, PP sheet and paper. 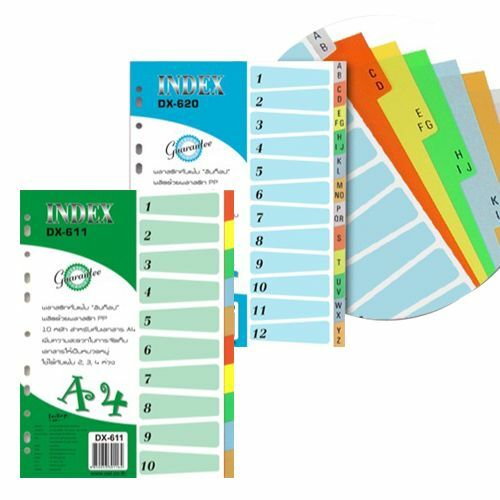 This product is available in different tabs from 5,6,10,12,13,15,16,20 to 30 for different purposes and suitability of number of documents. 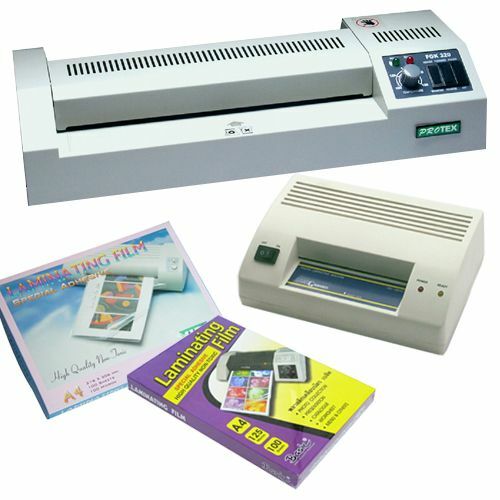 Plastic laminating machine is imported from overseas with mechanic team for full option after sale service. 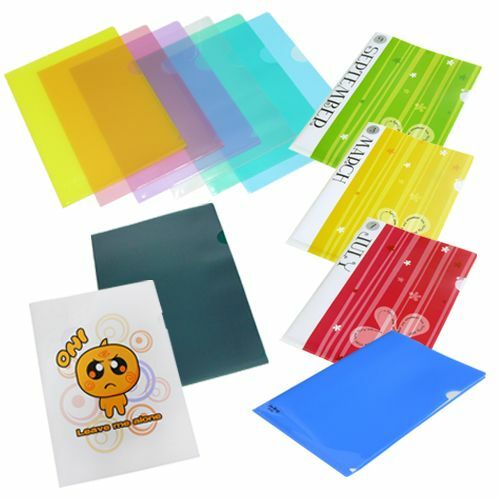 Laminating film is of high quality and imported directly from Korea. 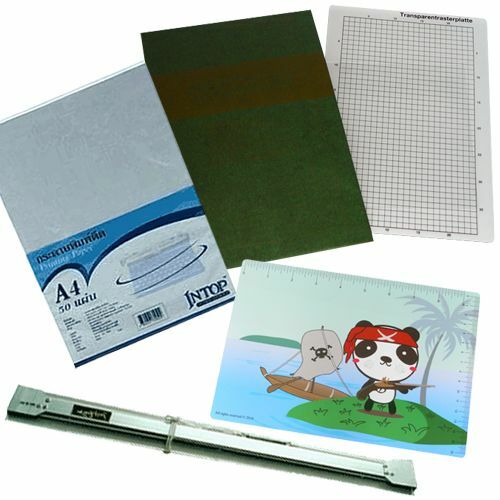 The laminating film comes in different sizes and thickness. It is suitable for laminating important documents, catalogs, ID card, employee passes, notice paper, photos and so on for protecting the document from damage and for long term usage. Our company have a variety of office equipments available for the convenience of our customers with full option after sale service. Those equipments are spiral or comb binder binding machine, paper shredder, punching machine and cutting machine. Not only the machine, our company also supplies customers with complementary products such as paper can plastic cover that come with modern printing finish. The products comes with different designs, sizes and with binder. The binders are also available in different thickness and sizes for different purposes such as report, thesis paper or quotation file. 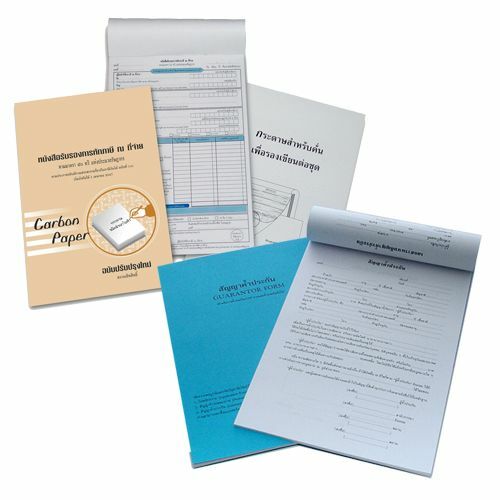 Printing forms manufactured with high quality pound paper. They are designed and adjusted according to the law. There are many forms for customer's selections such as for accounting, human resources or for general usage. 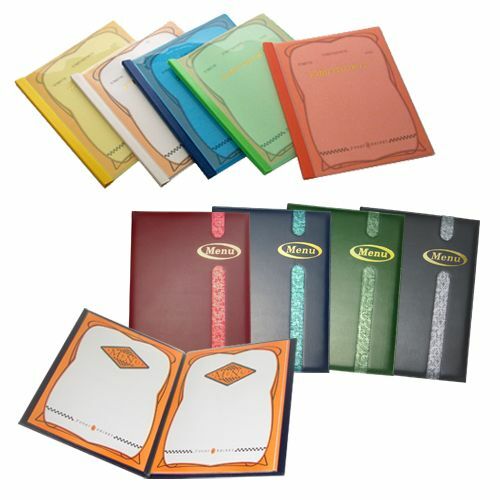 Synthetic leather products are finished with neat sewing, which is available in different set ranging from desktop accessories set, document tray set, book cover set such as signature book, visiting book, congratulating book, certificate holder, bill holder, cheque holder, speech holder, name card holder and document holder. A variety of high quality products manufactured from PP Sheet, paper and many more such as mouse pad, mathematic set that is made from design PP sheet and gift set for various occasions.